The Xen™ glove balances a supple, lightweight feel with the durability needed for all-day, all-mountain riding. The Super Fit™ engineered palm is made of hard-wearing Clarino™ and tailored for an incredible fit and bar feel. A Poron® XRD™ crash pad wraps from the heel around the lateral edge of the hand for added cushioning in the event of a fall, and Touchscreen Technology™ in the fingertips lets you navigate digital devices without taking them off. Super Fit Engineering is a proprietary process that guides the fit, design, and patterning of every Giro glove for maximum comfort and performance. By carefully tailoring the palm, fingers, and padding zones to match the shape and size of the hand, Super Fit Engineering reduces bunching and discomfort while enhancing grip, bar feel, and the effectiveness of the padding. 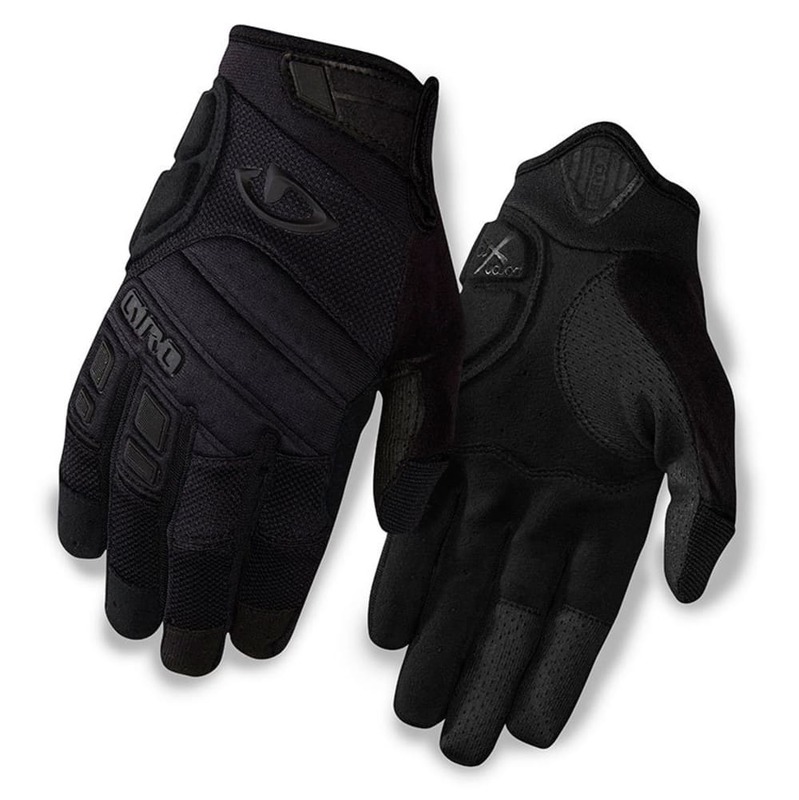 And, with as many as six sizes available per model, almost any rider can get a great pair of gloves to match their needs.